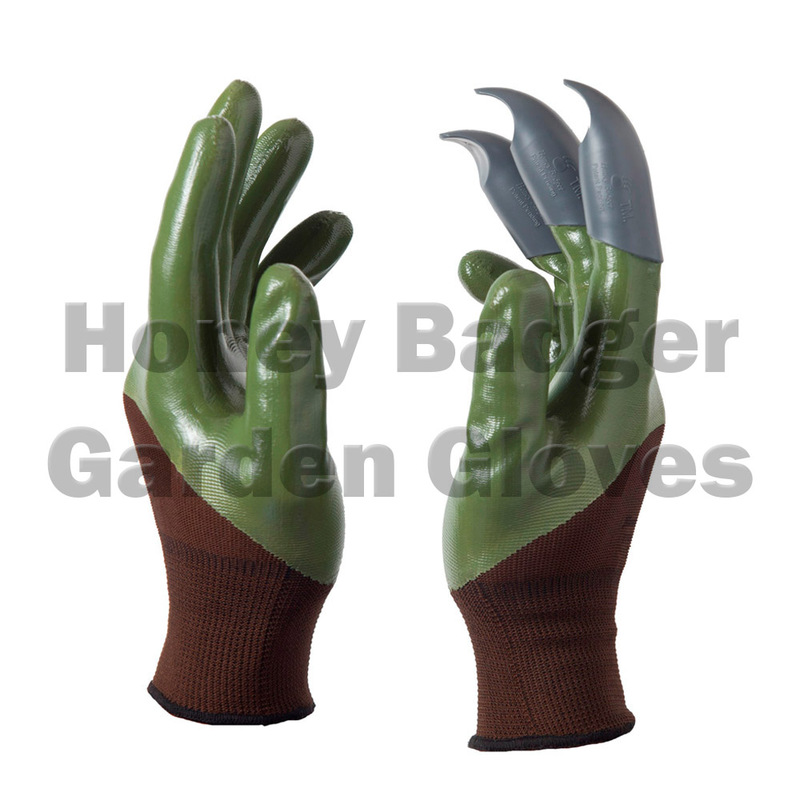 Gray Claws with the options for only LEFT, RIGHT or BOTH Hands of the pair. 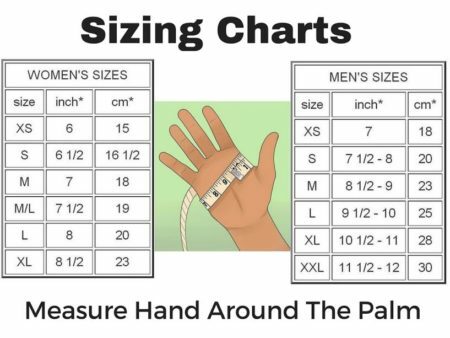 Men's medium 8", Men's Medium/Large 9 1/2", Women's large 8", Women's Small/Medium 7", Women's X-Large 9 1/2"
Light and well designed. 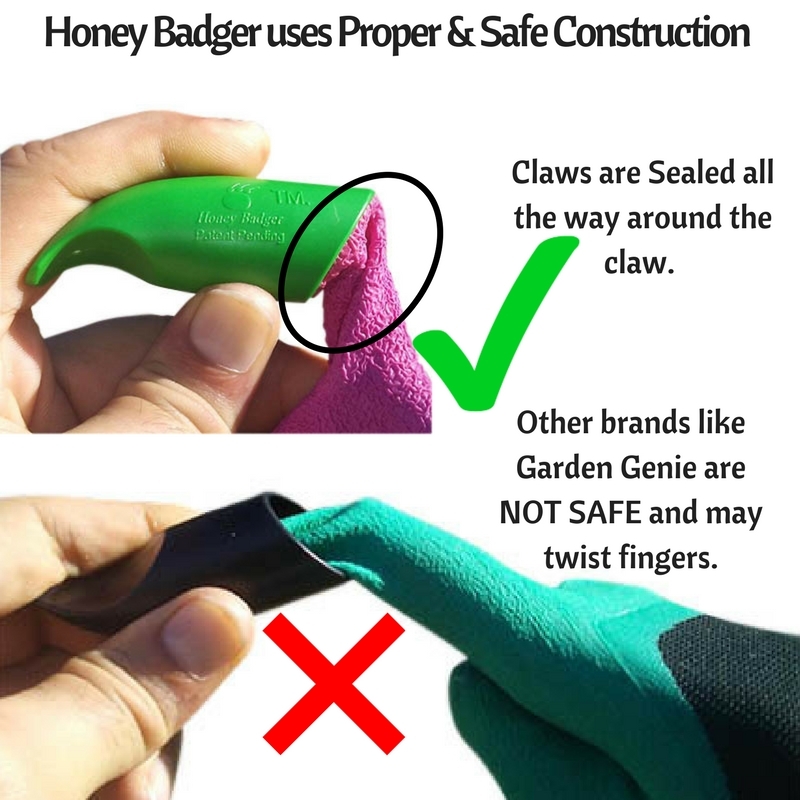 In the hot sun I prefer to have the protection only where I need it. 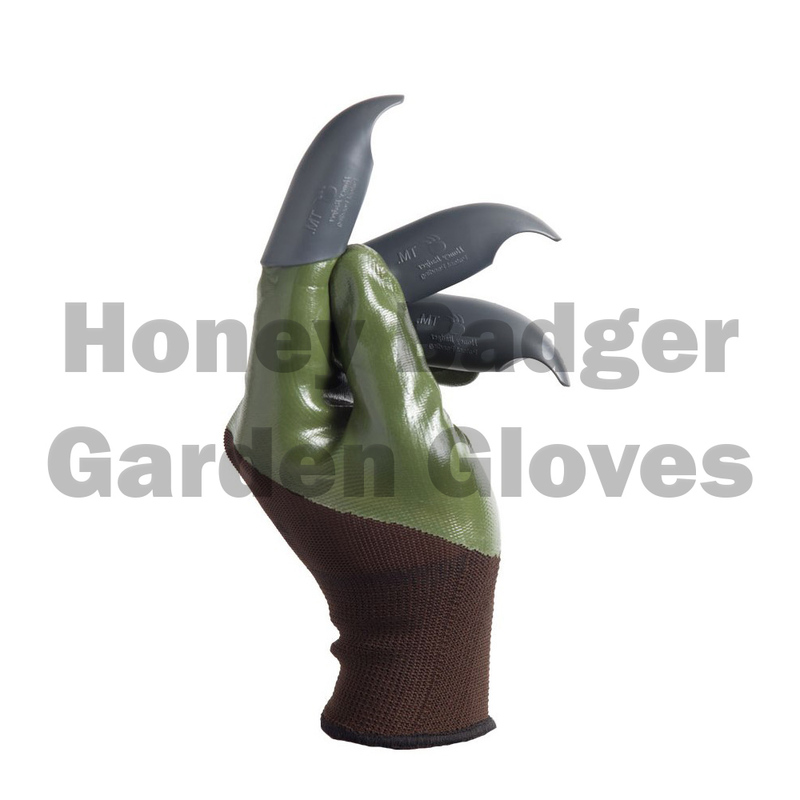 The glove material is pretty light and breathable at the back of the hand, & the waterproof coating is on the palm side which makes for good protection and the grips actually work well. 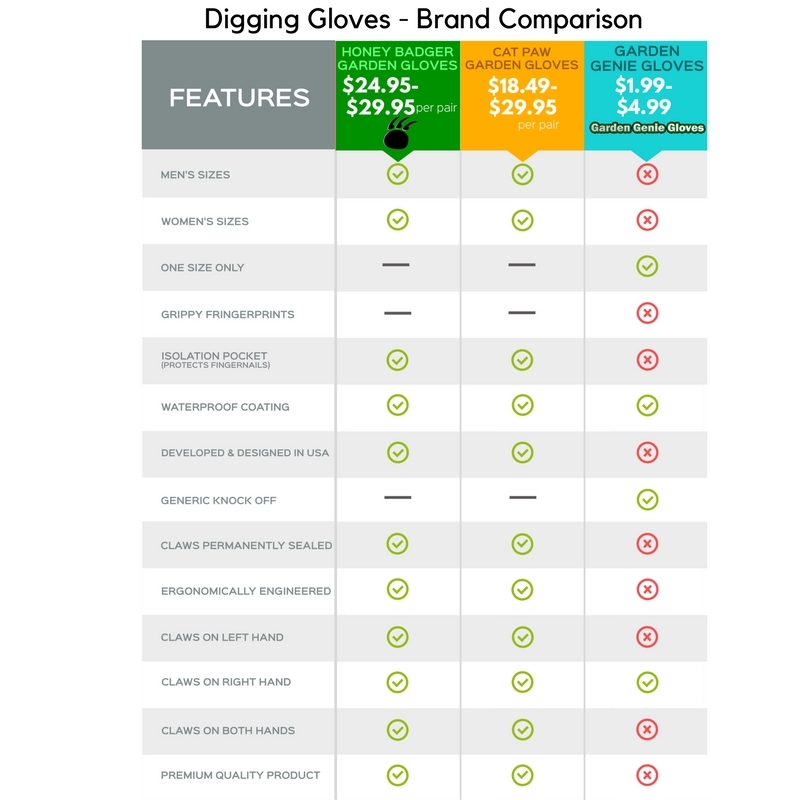 Compared to my other regular digging gloves without the grippy fingerprints. 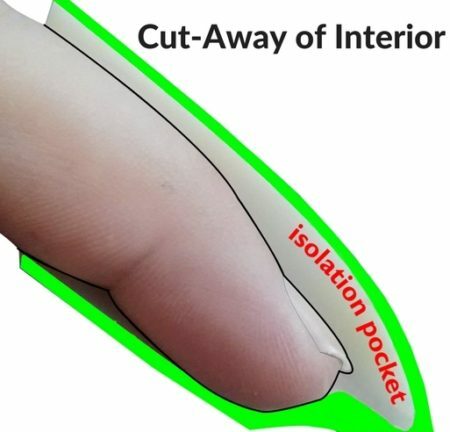 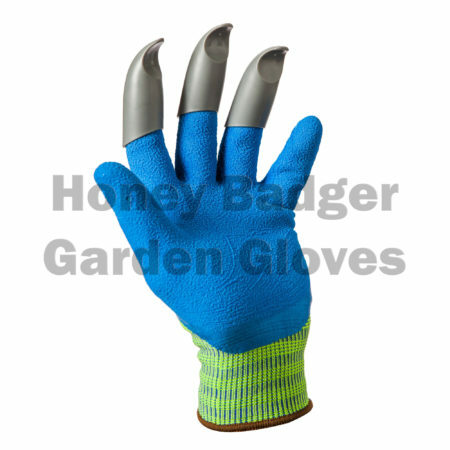 Good gloves for working without tools. 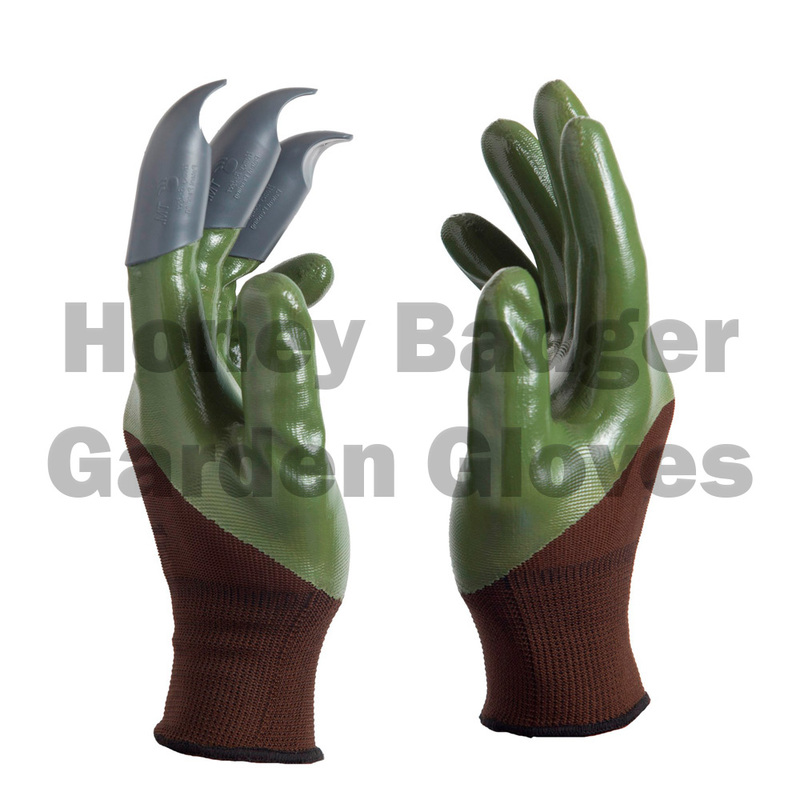 I don’t have strong hands so the claws make my hands feel stronger when I’m not using tools. 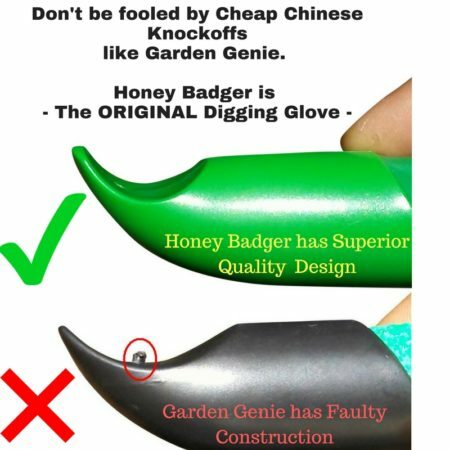 My first pair with grippy fingerprints really made a difference. 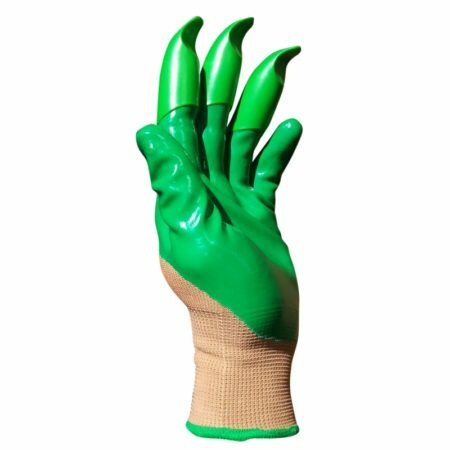 Too bad they come in only Women’s sizes. 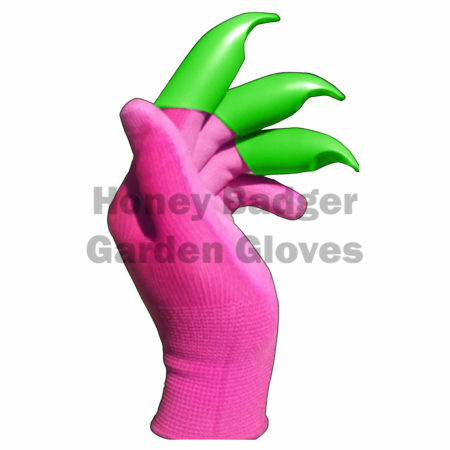 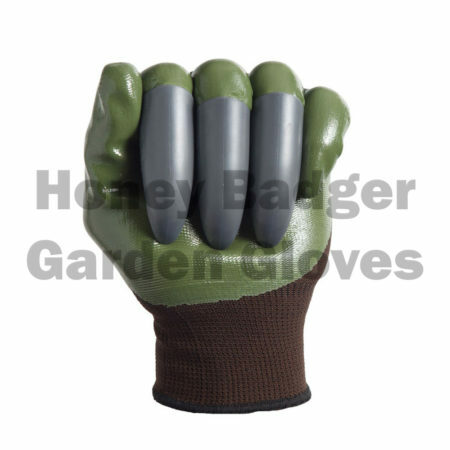 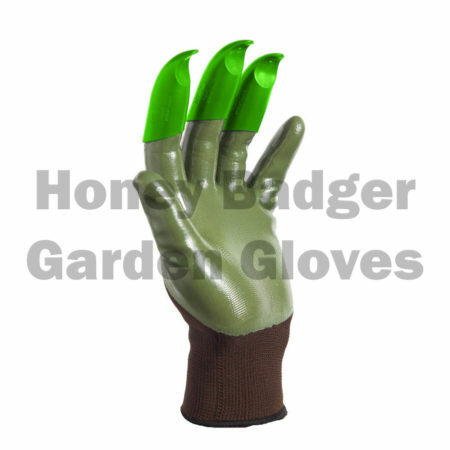 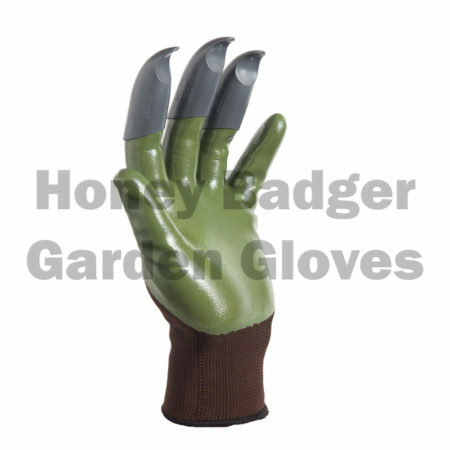 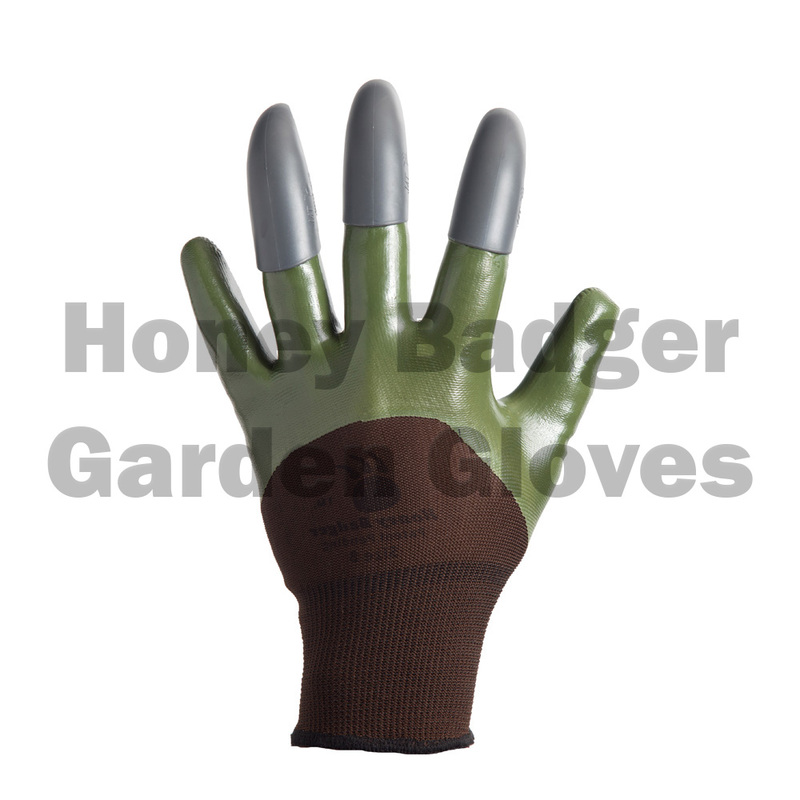 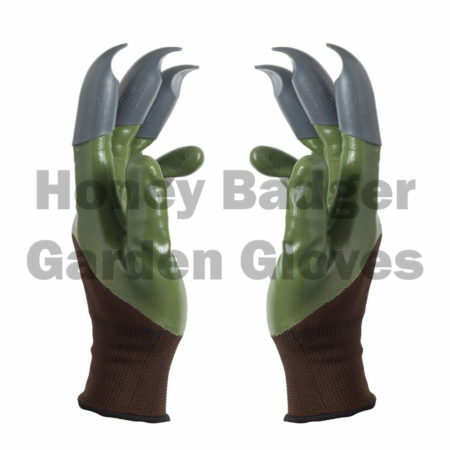 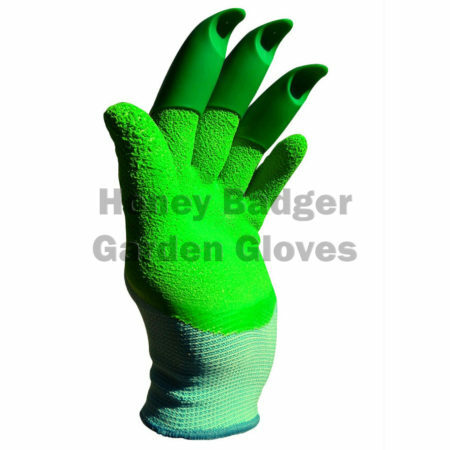 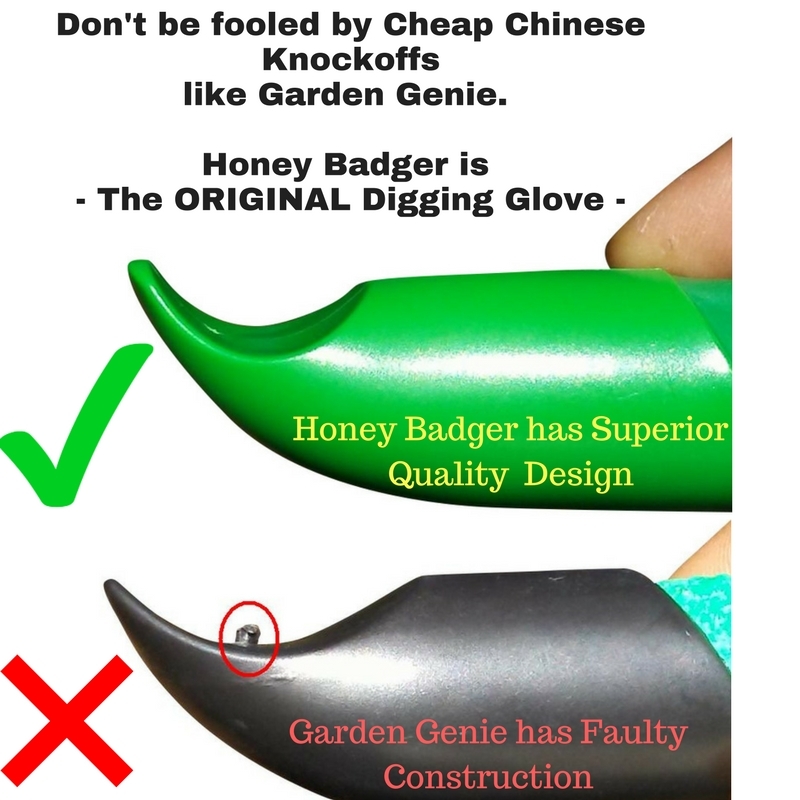 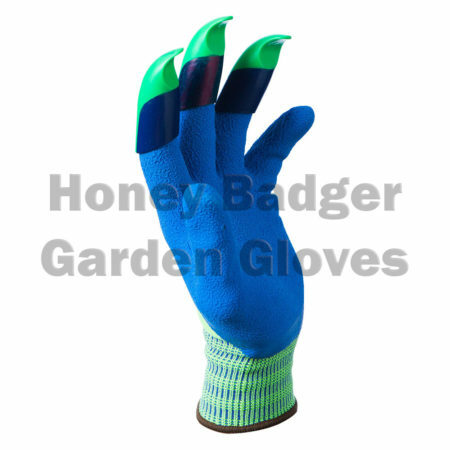 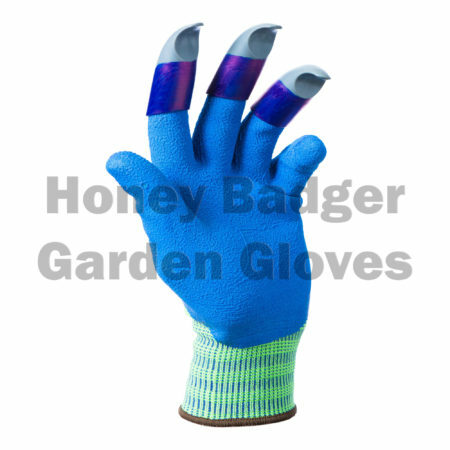 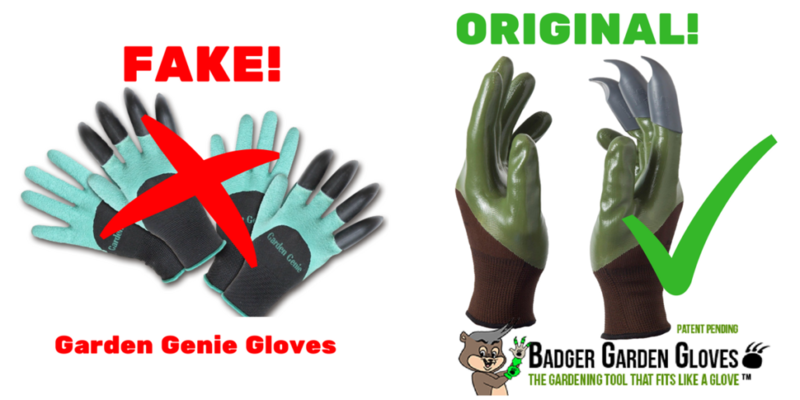 Very good gloves for everyday gardening. These are useful for planting and easy to use as well. 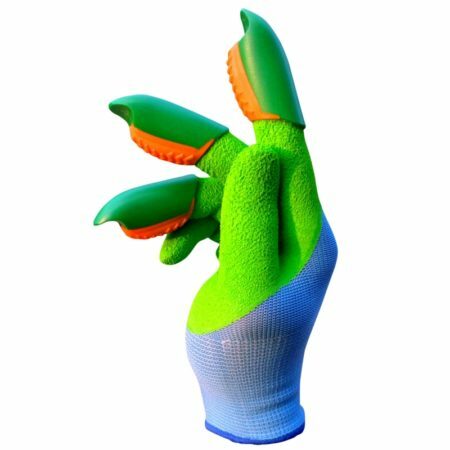 The Grip material on the fingertips is durable but also soft and has treads for better grip.